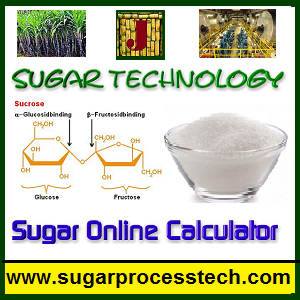 In sugar process industry for clarification purpose generally followed juice defecation or juice sulphitation process. For raw sugar or organic sugar making process followed juice defection and for planitation white sugar manufacturing followed juice sulphitation process. In this article explained about what are method takes place in juice defecation process and also explained about its reactions and mechanization theory. The cane juice received from mill is turbid liquid with varies colours from light gray to green. It contains many soluble and insoluble impurities. The impurities in cane juice is coming from cane origin itself. The main aim of clarification is to remove these non-sugar impurities of raw juices. The approximate composition of mixed juice is given as below. 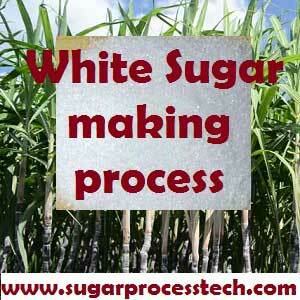 The Defecation process generally used in the clarification process of raw sugar, Organic sugar manufacturing industry. The defecation process simple defined as a neutralize the raw juice (After extraction of the juice from sugar cane by milling or diffuser technology) by milk of lime(MOL). In defecation process used food grade Phosphoric Acid(as per requirement) , Lime & heat. Changing the acidic nature to slightly alkaline juice by adding proper amount of milk of lime (MOL). Heating of the juice above its boiling point. Settling of lime & heated juice. Filtration of muddy juice with suitable filters. Several methods of liming are practiced. 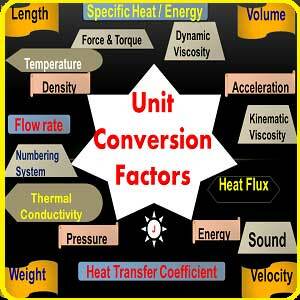 In general, the chemistry involved in all the processes will be similar. Fractional liming and double heating. Before 1920 it was standard practice to lime the unheated juice. This method was called cold liming. The juice coming from the mills generally at a pH in the neighborhood of 5 to 5.5. It is usually limed to a pH of 7.2, but may be taken as high as 7.8. Then pumped to the heaters in order to bring the juice to just above its boiling point during its passage, i.e., to 101 to 102 °C minimum after it will divert to settler/clarifier. When this method was followed a serious complication frequently occurred. The growth of dextran gel, often called frog – spawn which blocked pipes and pumps. The name of the bacteria responsible for this nuisance is Leuconostoc mesenteroides. It is specially virulent in alkaline juices. In Jenkins, Better clarification is often obtained by pumping the juice first to a heater heated by vapour bleed from the evaporator body of the multiple effects, so as to obtain a temperature of about 70 to 75 ° C, and then proceeding to add the lime to the same pH value 7.2 to 7.5 and finally heating further up to boiling point 102 to 103 ° C than juice allowed to settle. In Java, the first heating is taken to 90°C or even to boiling and than added milk of lime., and the second heating is then omitted. When compare to above both processes in jenkin requires less lime, for a better clarification. Present scenario most of the industries followed this method due its better results. This method prevented the growth of frog- spawn. In this process heating prior to liming held advantage of coagulation the colloids like albumin etc, but it was difficult to keep the pH of the limed juice constant. Heating at the natural pH of 5.2 – 5.5 however involves some risk of inversion of sucrose. Raw juice is limed to a pH 6.0-6.4, heated to 101 to 102 ° C then limed again to a pH of 7.6-7.8 and than juice allowed to settle. Davies and year wood in west indies , smith in Australia independently introduced this method in 1936, which gave excellent results in clarification process. Raw juice Ist stage liming of Raw juice Limed juice (pH= 6.2-6.4) Limed juice heated up to 90-95 ° C IInd stage liming of raw juice Limed juice ( pH= 7.2-7.4) Heated the juice (102-103 C0) Settler /clarifier. The first reaction is explained as being more rapid because it is a second order reaction involving two ions while other reaction is a higher order reaction involving five ions. By adding M.O.L. to raw juice the free organic acid will form calcium organates. These salts do not precipitate as their concentration is low ( oxalic, tartaric,etc). As the reaction changes from acid (pH-5.2) to alkaline (pH -7.2-7.6) owing to the addition of the milk of lime , a number of substances originally present in raw juice in colloidal form precipitates. In addition , part of the proteins flocculate when the temperature is raised. The floc and the precipitated calcium phosphate, absorb other particles such as clay, cane wax, Bagacillo, bacteria, probably some poly saccharides including starch etc. finally the heating of the limed juice to above boiling precipitate removes gases (air ) which would otherwise prevent particles from settling. The following non-sugars are precipitated. Gums ( xylon) – none of the cane juice gums. Lime acts on sucrose to form saccharates and its reducing sugars to form glucosates. The action of lime on reducing sugars depends on the temperature, and at higher temp ( above 550c ) it forms harmful colored decomposition products of reducing sugar there by increasing the undesirable soluble calcium salts. When lime is added some of it under goes reaction some remains in solution in the form of soluble Cao, as indicated by Noel deer on defecated juices. Bagacillo requirement for vacuum filters. Bagacillo screen, blower capacity and its transport line sizing requiement | Bagacillo cyclone design calculation. In Juice sulphitor the hydrostatic head should be kept 2.0 to 2.4 meter. i.e juice column height(juice overflow height) in the reaction vessel if we reduce the height, the retention will be reduced and untreated juice will pass from juice sulphitor.